Reverend Doctor William Frederick Meyer passed away peacefully at the age of 78 on Friday, February 1, 2019. He was a man “…filled with the Spirit of God, with wisdom, with understanding, with knowledge and with all kinds of skills… to work in wood, and to engage in all kinds of crafts” (Exodus 31: 3-5). Bill was the second oldest of 10 children born to Reverend Frederick and Melinda (Christian) Meyer on April 17, 1940 in Glendive, Montana. Raised as a preacher’s son who learned the value of hard work by spending summers at his uncle’s farm and how to whittle wood by his grandfather’s side, Bill gained the wisdom of knowing God’s love and sharing it with those around him from an early age. Bill met and married the love of his life, Sharon Kay (Thiele), the second youngest of nine children, in 1965 in Ruskin, Nebraska. Together they raised three daughters: Michele, Monica and Melinda. The family grew over the years and now includes Michele and Dr. Daniel Osborn, sons Dr. Andrew (27) and Christian (23); Monica and Dr. C. Jeffrey Smith, daughters Caitlyn (14) and Morgyn (13); and Melinda and Matthew Connell, son Owen (16) and daughter Shelby (11). A highly educated scholar and lifetime servant of the Lutheran Church-Missouri Synod, Bill graduated from Concordia Senior College, Ft. Wayne, IN in 1962; earned a Master’s of Divinity degree in Old Testament Interpretation from Concordia Seminary, St. Louis, MO in 1966; and earned a Master’s degree (1968) and PhD (1974) in Hebrew and Semitic Studies from the University of Wisconsin. He served as Assistant Professor at Concordia Seminary, Springfield, IL; Dean of Administration and Associate Professor at Concordia Lutheran College, Austin, TX; Vice President of Editorial for Concordia Publishing House, St. Louis, MO; Assistant Treasurer, LCMS and Executive Vice President, LCMS Foundation; and the CEO of the Board for Higher Education, overseeing 10 colleges and two seminaries, which he led to form one Concordia University System. 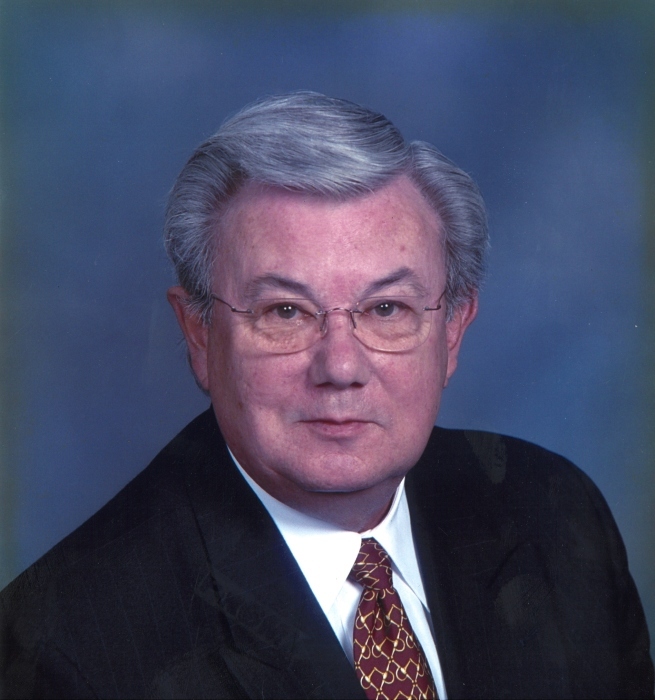 He continued to influence and raise funds for the LCMS Foundation and university system long after retirement. Bill’s talents and interests extended far beyond his intellect and leadership skills. He had a strong passion for wood carving, cooking, hunting, investments, writing, and card playing. Bill also loved baseball and spent countless hours cheering on his St. Louis Cardinals. His love of Christ and his passions for life will live on through all who knew him, but especially those he loved most – Sharon and his girls. Bill is survived by his wife, three daughters, and six grandchildren; his four sisters: Louise and husband Rev. Thomas Spahn of Beach Park, IL; Laura Dinda of Austin, TX; Linda Berryhill of N. Liberty, IA; Laverne and husband Ron Kelderman of Cedar Falls, IA; two brothers: Wayne Meyer and wife Shirley of Tripoli, IA; and Werner Meyer and wife Becky of Waterloo, IA; sister-in-law Janet Meyer of Walburg, TX; and many nieces and nephews. He was preceded in death by his parents Reverend Frederick and Melinda Meyer of Readlyn, IA; brothers Walter Meyer of Walburg, TX and Winfred Meyer of Ogden, UT; and sister Lorene Meyer of Denver, IA. A celebration of life worship service will be held at Shepherd of the Desert Lutheran Church 9590 E. Shea Blvd. on Saturday, Feb. 9 at 3:30 p.m.
Memorials in Bill’s honor may be made to the Lutheran Church—Missouri Synod FOUNDATION and Concordia University, St. Paul, Minnesota.